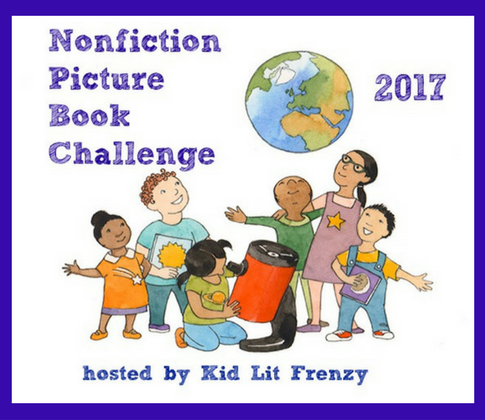 There always seems to be a plethora of picture book biographies. Here are some of the new ones that have jumped from the stacks. I think the illustrations were so well done by Wheeler! Fascinating facts, but will be interested in hearing what young readers think. Driving from the Chicago suburbs through the cornfields of Illinois in order to get to school (Illinois State University), I would drive past a John Deere factory. The name is synonymous with green tractors. But other than that, I really didn't know much about the man. It was interesting to read how he got to Illinois and that he is credited with building a better plow for midwest soil (I like how it is described in the book, but here's a quick description - it's clay). I always just assumed he built tractors! Misconception is cleared up, thanks to this book! This book was published last year but finally made its way to my library as a 2018 IL Monarch Award nominee. I'm glad it did because it really is an inspirational story. Would be fun to read every April around Opening Day time. 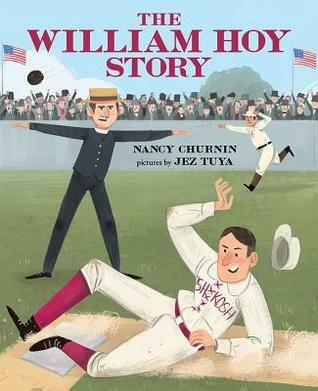 I had no idea that many of the calls made in baseball - the actual physical motion of them - were because of this man, William Hoy, who was a deaf player! I know of Pete Seeger and his music but I didn't really know about the man and what he did with his music. 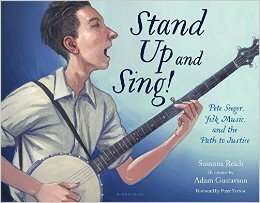 Good picture book biography to introduce young readers to Pete. I'll be back in a couple of weeks to spotlight picture book biographies that are all about the girls! 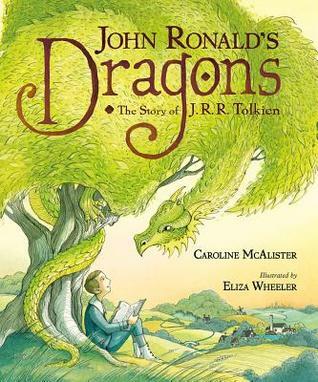 I loved the Tolkien and the Seeger books, have both! I sent a link about John Deere to a friend whose husband collects all things John Deere, but still need to read it and the one about William Hoy. I love these bios coming out. It's wonderful learning when there isn't time to read longer biographies. Thanks, Michele! We have lived in the country for the past five years, and I've been struck by how few books reflect the everyday life of country kids. 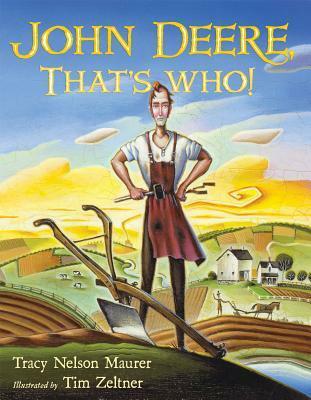 I'm excited to read the John Deere biography! I loved the William Hoy story, and I just won a copy of the Pete Seeger book--looking forward to reading it!